Prekindergarten provides children with the tools they need to succeed in Kindergarten. Florida’s FREE Voluntary Prekindergarten Program (VPK) covers the cost of half the school day, but that leaves families to cover care before and after the program. 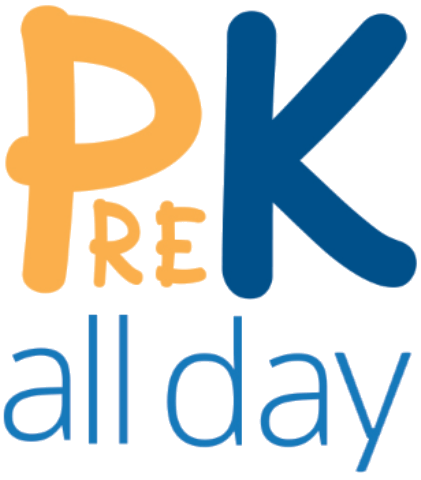 PreK All Day (PKAD) is a scholarship program that is being offered to families with children ages 4 to 5, that are enrolled in VPK, but are ineligible for ELC’s School Readiness (SR) program. PreK All Day scholarships allow families to cover the expenses for additional hours of wrap-around care needed before and after the VPK day, including the duration of the school year and full-time care during the summer before kindergarten. Interested Providers may become a qualified PKAD school by either enrolling in the Performance Funding Project (PFP) OR becoming Gold Seal Accredited.